This delicious and simple salad graces the table at every holiday gathering; its peppery and sweet-tart bite is a perfect foil for all the rich dishes of the holidays. 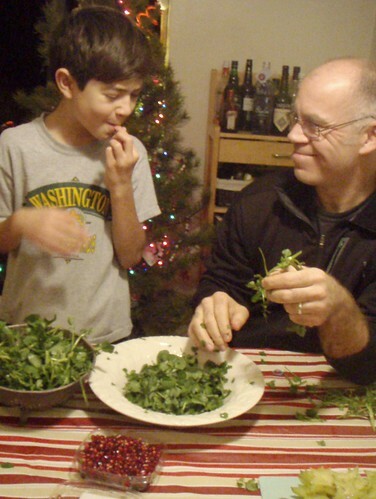 The recipe is simple: one or two bunches of clean watercress, large stems removed, one or two starfruits, sliced, 1/2 cup of pomegranate seeds (sometimes called pips or drupes, which are conveniently available seeded at our local market!) and a simple vinaigrette. Small effort, big payoff...especially when the boys do all the work. 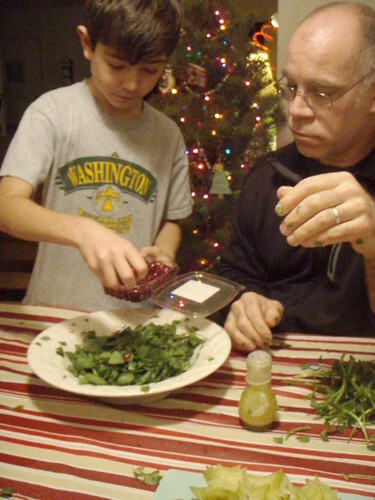 First, Sparky and his Uncle carefully sliced the starfruit into sections, taking out any seeds along the way and being careful not to squash the points. 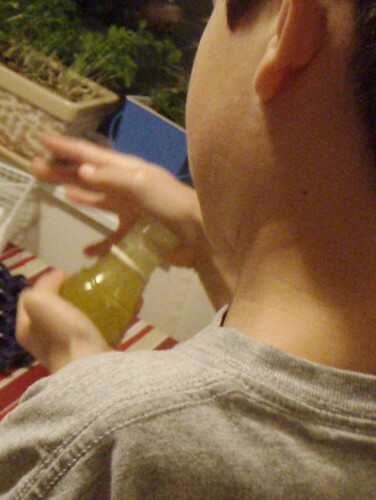 Then, Sparky went over to where his Dad was busy de-stemming the watercress and stole some pomegranate pips. 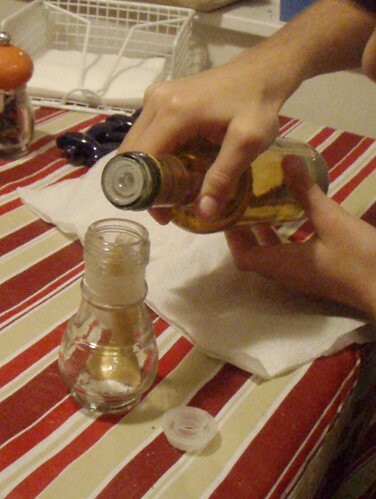 A heavy pinch of salt and pepper, and a squirt of dijon mustard into our bottle (no, you don't really need to measure.) to which Sparky added a good slug of vinegar, enough to bury the mustard. 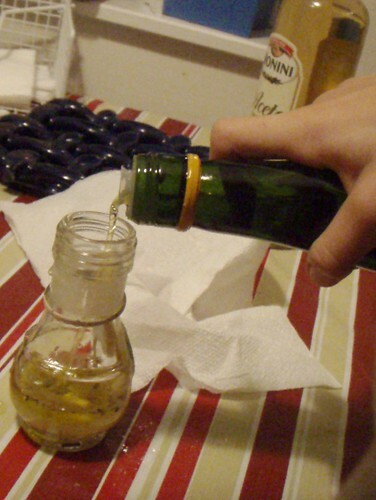 Then the bottle was filled almost to the top with EVOO. Then it was covered carefully and shaken until well blended. 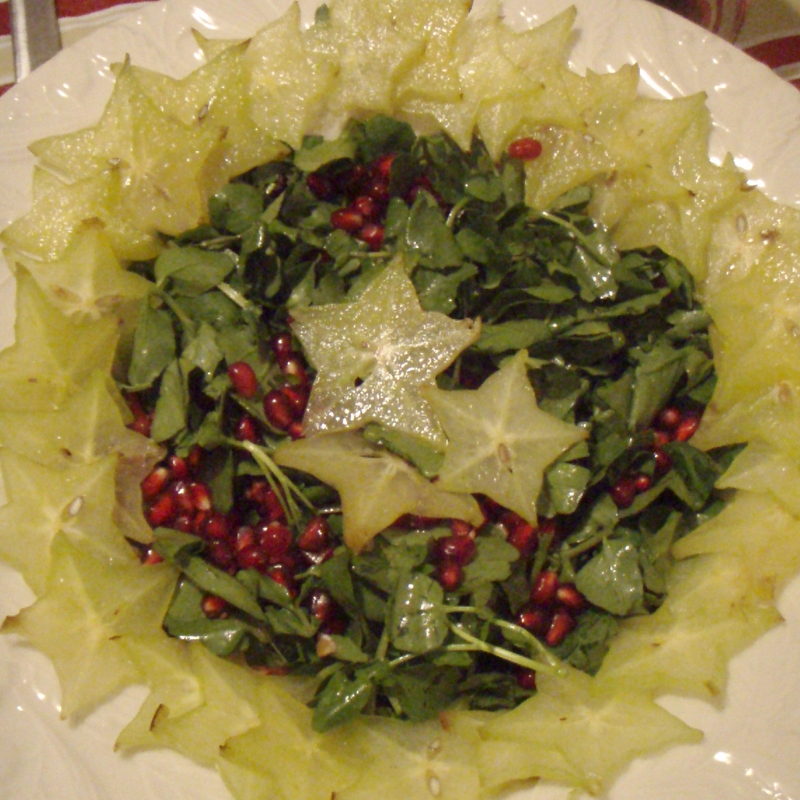 The watercress leaves are lightly dressed with vinaigrette, the pomegranate seeds are sprinkled over, and then Sparky and his Dad carefully arranged the starfruit around the edges.